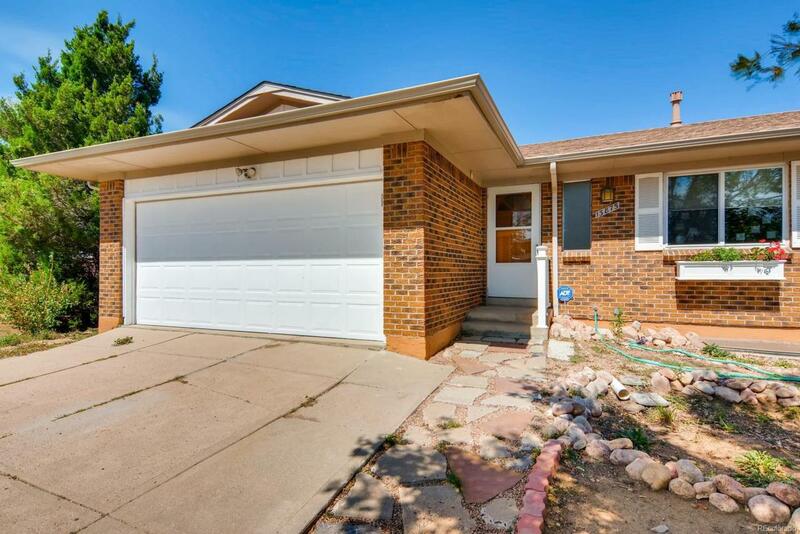 Great Hutchinson Green Mountain Village Ranch! Home is ready to move in and offers 3 bedrooms and 2 bathrooms, one in which is a master bedroom with a updated master bathroom attached and walk in closet. The nice open living area connects to the updated kitchen with nice cabinets and granite counter tops, great center island to sit at as well. Eating area looks out and walks out to a very nice deck, a view of Green Mountain and the back yard with amazing Native plant gardens throughout the grounds. Front yard even has a special rain garden! New roof, gutters, soffits, furnace/humidifier, newer windows, appliances,deck, hot water heater. Wired for security, has radon mitigation completed.Basement is open to finish as you like. Great location, close to C470, Red Rocks,mountains, lakes and trails for both hiking/biking, golf and so much more! Quick possession. Offers reviewed on 9/10 at 12pm, please allow acceptance until then. Seller reserves right to accept contract before this date.